Membership numbers in Arizona, Nevada, and Utah are growing, sisterhood and brotherhood is extremely strong, and Mountain Region is improving day by day. Mountain Region is on the rise. Before individually spotlighting each chapter in the region, let’s meet the Regional Boards! First is the Mountain Region #47’s 71st term BBG Board (pictured right to left)! Next is Mountain Region #47’s 71st term AZA Board (pictured left to right)! Back in October, Mountain Region held its annual Fall Convention and it was such a huge success! Everyone had a fantastic time. At Fall Convention, the Spirit Convention coordinators were selected: Shelby Miller from Tovah BBG and Gabe Friedman from Abba Godol AZA. Everyone is so excited for Spirit Convention in January! Helene Gorbena BBG is one of the BBG chapters in Las Vegas, Nevada. Gorbena is full of extremely sweet, kind, quirky, and fun girls. Gorbena recently had an amazing program teaching each of our members how to use their voice. Lead by Emma Tatum, this program really opened everyone’s eyes and showed us the power our voice has. We started the program by being blindly sat in front of a random member of our chapter, no one knew who they were sitting by. There were a set a questions that were asked, initially the questions were very carefree. After a couple carefree questions, the questions became deeper. After the questions were done, we split off to discussion on matter we want to fight for with our voice. It was an AMAZING program and it really brought us closer together. Gorbena’s Morah, Heather Saxe, has broken the record for most members recruited for Gorbena in one term. The record used to be eight girls, but Heather broke that record recruiting 15 new girls to the chapter! One of Gorbena’s most passionate members, Emma Tatum, is also Regional N’siah! 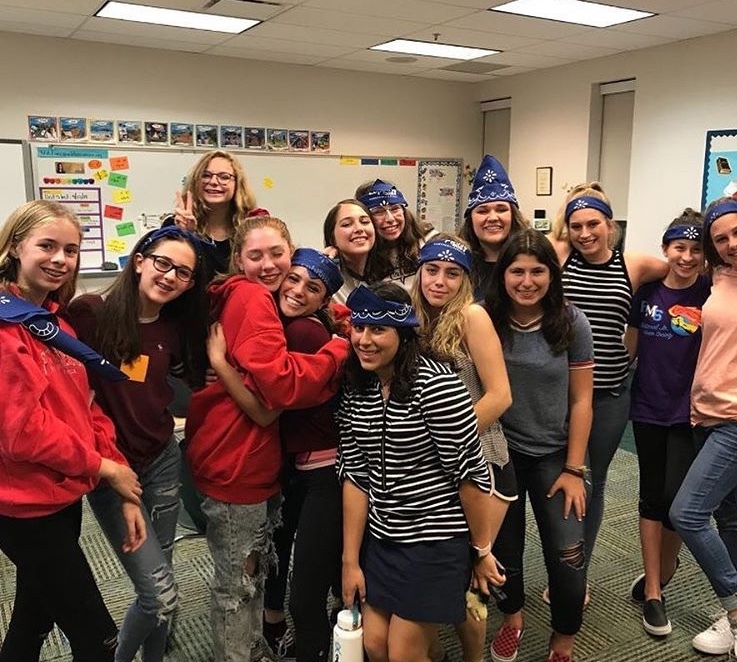 Gorbena’s Shlicha, Noa Agatstein, has held multiple amazing Shabbat Services and has allowed all of the members of Gorbena BBG to discover their Jewish Identity. Gorbena is having their Inductions weekend on December 7th-8th at the Morah’s house. The superhero themed inductions sleepover is going to be one to remember. Make sure to follow Helene Gorbena on our social media: @helenegorbena! Joyce Eva Kiviat BBG is one of the BBG chapters in Scottsdale, Arizona. Kiviat is full of compassionate, sweet, and hardworking girls. Kiviat recently had a very successful “Challah-o-ween” program! 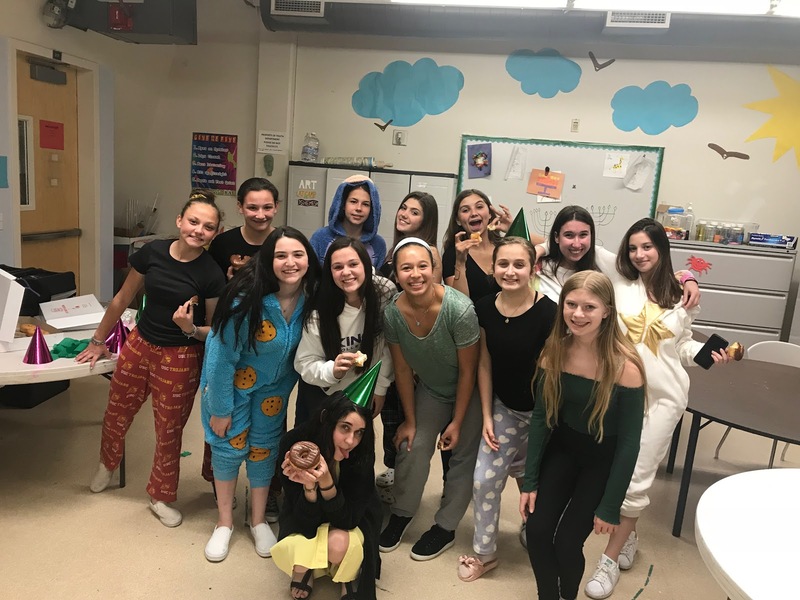 The chapter’s Shlicha, Julia Caplan, put a fun twist on the Halloween holiday. The BBG’s of the chapter were given the supplies and ingredients to make delicious Challahs from scratch. Throughout the mixing and kneading of Challah dough, the girls listened to music, bonded, and went live on the Kiviat instagram account (@kiviat_mountain_region)! After the program was over, the girls had the opportunity to bake their challah at home and to share with their friends and family. Everyone had such an amazing time and the program allowed the whole chapter to get to closer. The program was not only delicious, but it also sparked sisterhood throughout the chapter. Kiviat’s S’ganit, Reann Bressler, is a hardworking BBG in Kiviat. She always has a smile on her face and is extremely passionate. This dedicated BBG lights up a room with her personality. Two of the most involved members, Katie Kort and Sylvie Harris are currently on regional board serving as Morah and Shlicha! Kadimah BBG is the BBG chapter in Tucson, Arizona. Kadimah BBG is home to some of the sweetest girls in the region. Kadimah term has been really successful for the chapter. From amazing programming to strong sisterhood, the fall term has been great. 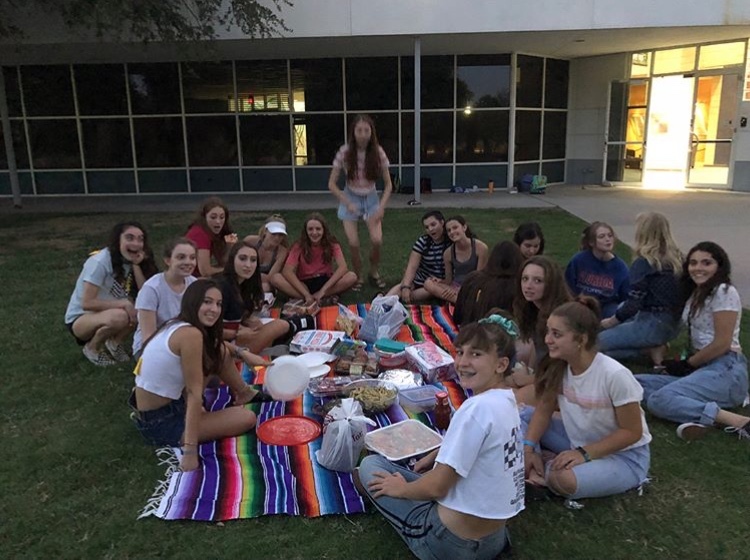 Recently, Kadimah BBG and their brother chapter, Abba Godol AZA, planned an amazing Tucson Lock-in. The event consisted of members from the region coming to Tucson and spending a night at the JCC. The night consisted of an amazing Havdalah, fort building competition, a Dutch auction, an Israeli dance program, and lastly an amazing separates. The turnout for the Lock-in was amazing and everyone had an amazing time. Here is a photo from their amazing Recruitment Night! Kadimah’s Shlicha, Sarah Randall, has done an amazing job this term. This is her first time on board and she is doing phenomenal programing. She gives her all and is such a great team player. Kadimah Member, Aliya Markowitz, is Regional S’ganit and is doing an amazing job! Las Vegas BBG is one of the BBG chapters in Las Vegas, Nevada. Las Vegas BBG is home to some of the kindest girls in the whole region. Recently, Las Vegas BBG has had some great programs including a fun Friendsgiving with their sister chapter. The night was full of delicious food, talking, and sisterhood! It was definitely an event to remember! LVBBG has had a great term and the girls in the chapter have created a great bond. 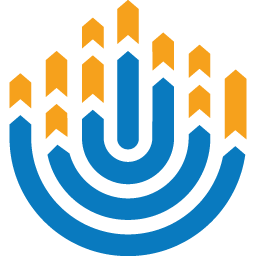 The chapter’s Morah, Amaris Puppel, is currently serving as the Region’s Mazkirah! Salt Lake City BBG is the BBG chapter in Salt Lake City, Utah. SLC BBG is home to some of the best sisterhood in the whole region. Recently, SLC held an amazing scavenger hunt program for the whole chapter. 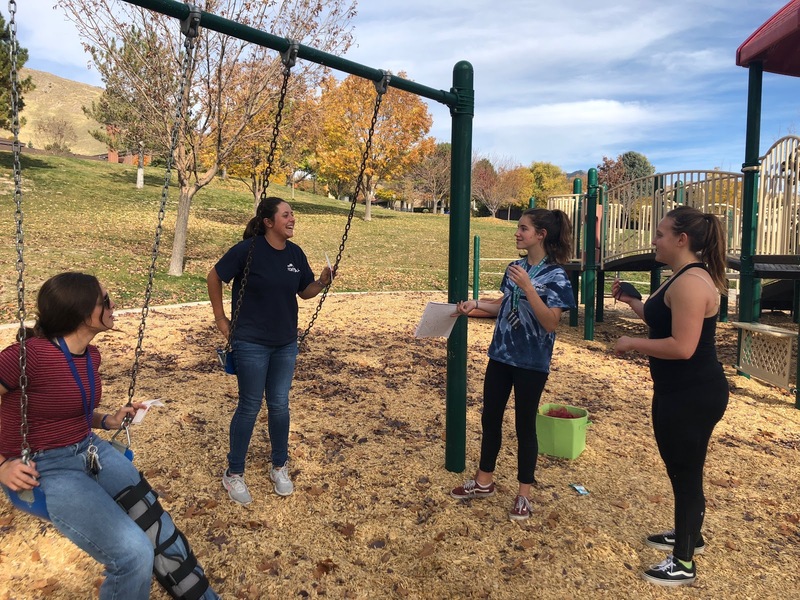 This scavenger hunt was not just fun, but it also allowed the girls to get intouch with their Jewish identity and Jewish community. This successful program allowed the girls of the chapter to bond and have a great time. SLC BBG’s Gizborit, Olivia Milavitz, is a motivated BBG who really motivates the whole chapter. She is an amazing role model for the whole chapter. Susan Mardi Shapiro BBG is one of the BBG chapters in Scottsdale, Arizona. Shapiro is full of kind, funny, and sweet girls. This term for Shapiro has been extremely successful. After their amazing chili pepper themed recruitment night, the chapter had a whole lot of prospects and MITs. One of the chapter’s most successful programs this term was their Sukkot themed scavenger hunt. The girls worked together to complete the scavenger hunt at their local mall. They had a record of 18 girls attending. It was a very enjoyable program for the whole chapter. The fall term has been amazing for Shapiro BBG! 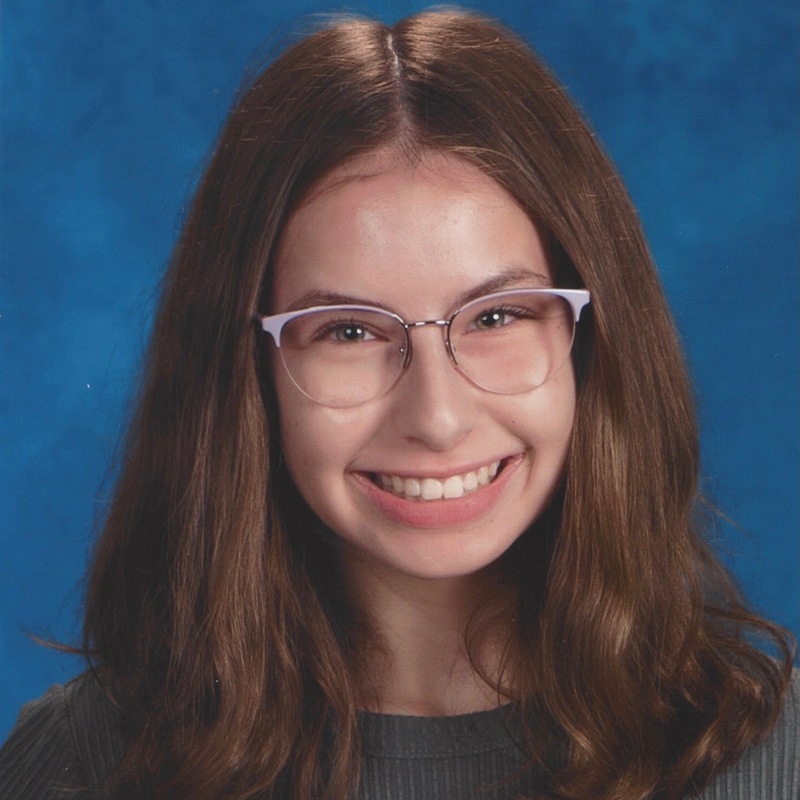 Shapiro’s N’siah, Emma Clapick, has done an amazing job of leading the chapter this term. Tovah BBG is the BBG chapter in East Valley, Arizona. 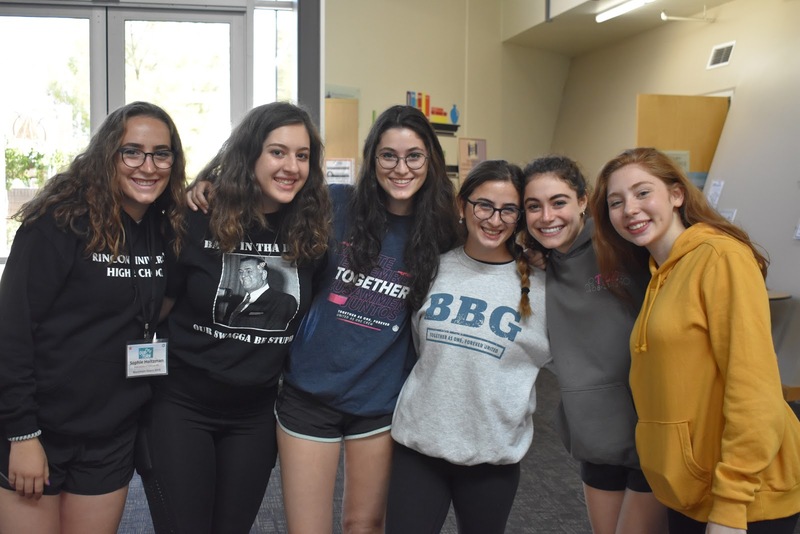 Tovah is home to some of the most involved BBGs in the whole region! 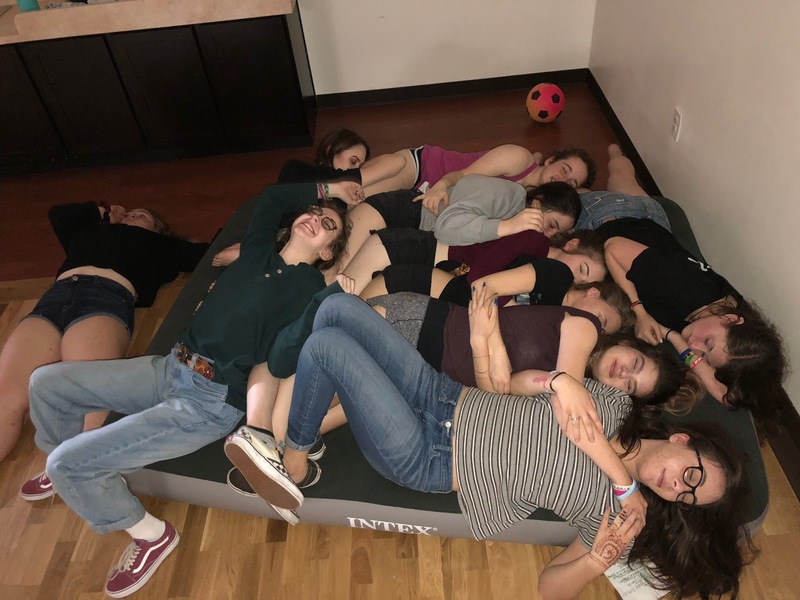 Tovah recently not only held some amazing programs, but they also held a Lock in! The Lock-in was a huge success for East Valley! From great programming and bonding, the Lock-in was a night to remember! Along with the Lock-in, Tovah BBG held an amazing Breast Cancer Awareness program. In the program, the girls were educated about Breast Cancer. This eye opening social action program allowed the girls to become more aware for the horrible disease. Make sure to keep up with Tovah BBG on their instagram account, @tovahbbg2117! Tovah’s Gizborit, Lyndsey Klein, is still a fairly new member but she has worked so hard for the chapter. This extremely involved BBG is super sweet and friendly. 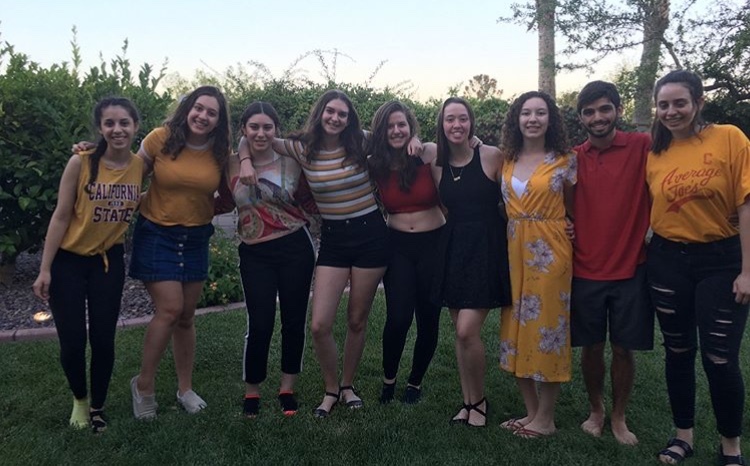 Tovah’s N’siah, S’ganit, and Morah, Ellie Sims, Sabrina Newman, and Ariella Golden, attended summer programs last summer and have been able to apply their knowledge to improving the chapter. Dedicated member, Shelby Miller, is Spirit Coordinator for Mountain Region’s Spirit convention. 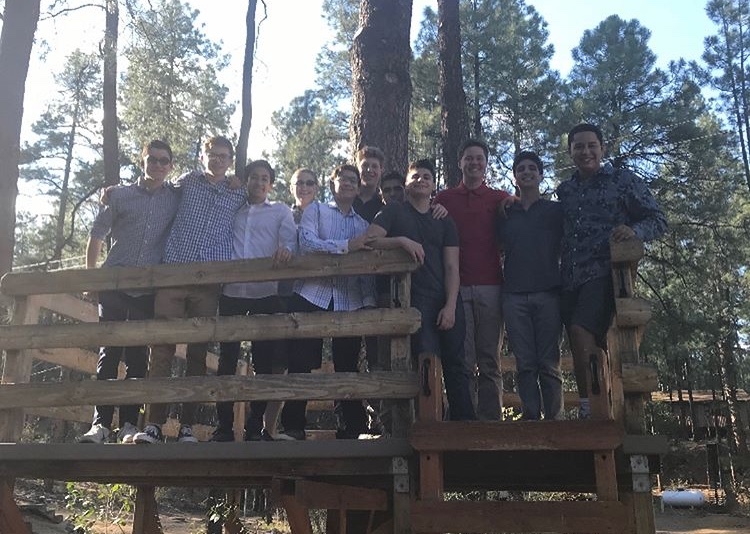 Abba Godol AZA is a the AZA chapter in Tucson, Arizona. 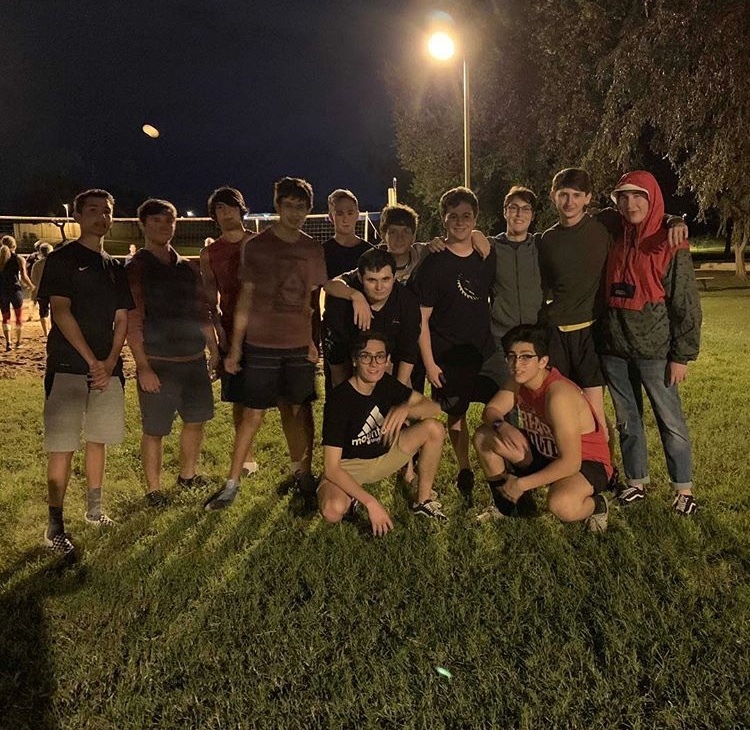 Abba Godol is home to some of the most passionate Alephs in the whole region. Abba Godol AZA has had a great term so far! 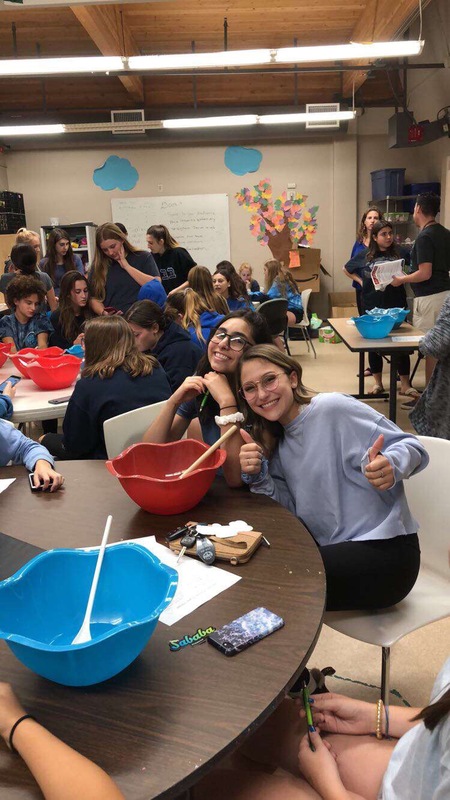 Recently the chapter, along with their sister chapter Kadimah BBG, hosted the annual Tucson Lock-in. The Lock-in was such a success and everyone had a great time. Abba Godol has had some amazing programming this term and have bonded a lot as a chapter. Abba Godol’s Sgan, Gabe Friedman, is this year’s AZA Spirit Coordinator! Everyone is so excited for Gabe! Member, Richard Fisher, currently is serving as the region’s Moreh. 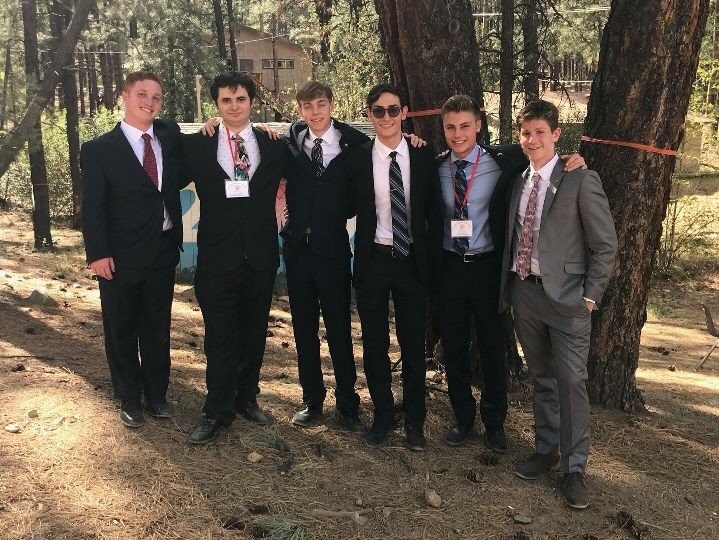 Felix Frankfurter AZA is a strong AZA chapter in Scottsdale, Arizona. 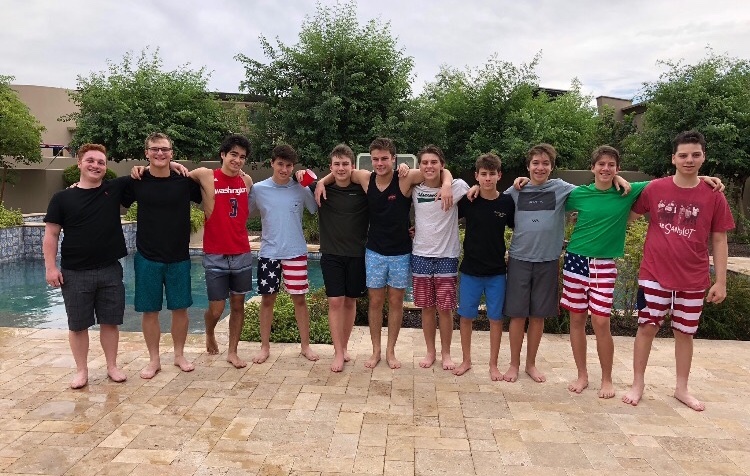 Frankfurter AZA is home to some of the most involved Alephs in the region. Frankfurter AZA has had an amazing term so far. The chapter has almost met their membership goal and everyone in the chapter is very spirited. Frankfurter has had great attendance at meetings and regional conventions, the chapter is extremely prosperous. Frankfurter’s Godol, Zach Bedrava, has been an amazing leader this term and is a great role model for everyone in the chapter. Members, AJ Littenberg and Ethan Weisman, serve as the Region’s Sgan and Shaliach. Jonas Salk AZA is an AZA chapter in Arizona. Salk is home to some of the most spirited Alephs the region. The chapter has had a good term so far and they are working really hard. The chapter has had some great attendance and some great programming! 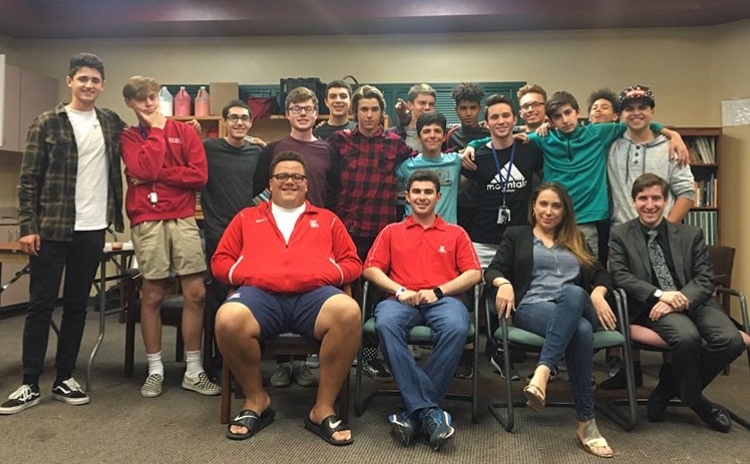 Kennedy AZA is an AZA chapter in Scottsdale, Arizona. Kennedy is home to sport loving AZAs with great brotherhood. Kennedy recently held a chapter barbecue that was extremely successful. The amazing program, planned by Noah Silver, helped the chapter bond and kickoff the new term. At the event, the the AZAs of Kennedy enjoyed hamburgers while they watched the Cardinals game, played sports, and had an overall amazing time. This meeting really got the chapter into the swing of things for the upcoming term. Everyone had an amazing time. Kennedy’s Godol, Noah Silver, also holds the regional position of Mazkir. This AZA is extremely dedicated which has inspired the lower classmen of the chapter. One of Kennedy AZA’s members, Ryan Marmis, serves as the region’s current Godol! Rabbi Meir Reznikoff AZA is an AZA chapter in East Valley, Arizona. Reznikoff is home to a great group of AZAs who love BBYO. Reznikoff’s term has been really great! They have increased their attendance by a whole lot, which is a big win for the chapter! The chapter’s programming and organization has also improved a lot from the past. Recently, Reznikoff’s programming has really helped the chapter create a really strong bond. Along with their sister chapter, Tovah BBG, Reznikoff participated in the East Valley Lock-in. This overnight was a huge success for the whole chapter and region of Arizona. Member, Jonothan Almomg, has done an amazing job this term. He puts in so much effort to the chapter and has really helped improve lots of logistics to allow the term to run smoothly. Salt Lake City AZA is the AZA chapter in Salt Lake City, Utah. SLC AZA has great brotherhood and programming. SLC AZA has had a great term so far! One of their most successful events was their community service program at the Fisher House. The whole chapter made dinner for veterans who lived at the house. All of the AZAs in the chapter really felt like they were helping out all of the veterans. There was a huge turnout for the meeting and everyone had an amazing time. Member, Ian Shapiro, is regional Gizbor and is doing a phenomenal job. Thank you to each of the chapter members for helping me write about each of your respective chapters. 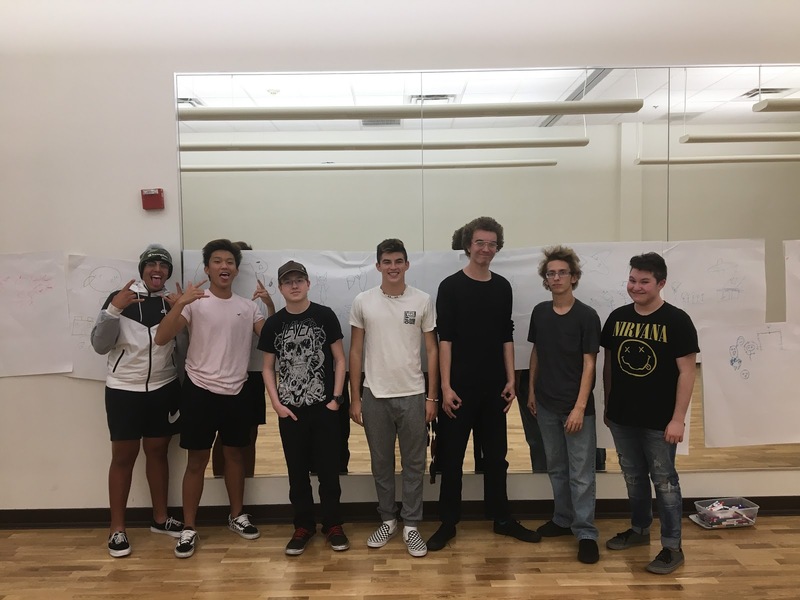 Thank you: Jolie Davidson, Ariella Golden, Ellie Sims, Jonah Wachs, Bella Fisher, AJ Owen, Amari Lampert, Shayna Raphael, Joey Kaplan, Ari Anderson, and Sam Goldfinger. Heather Saxe is a BBG from Mountain Region who enjoys drawing and reading comic books.